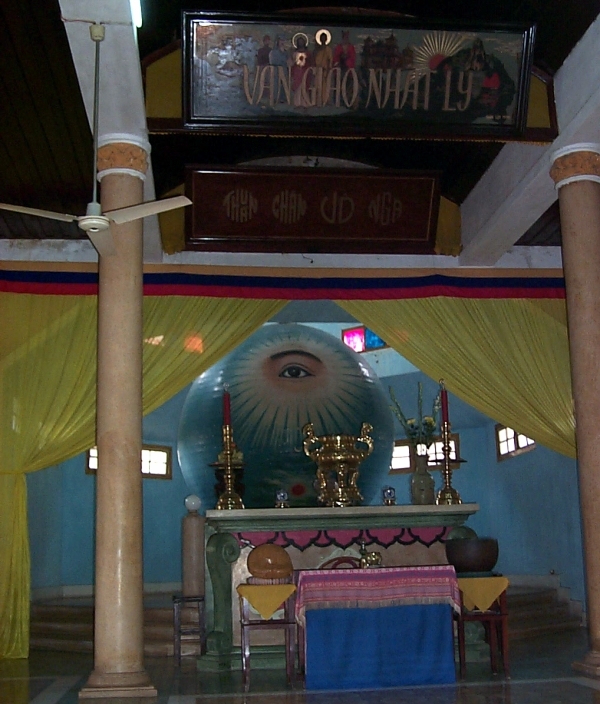 The altar within Danang's Cao Dai temple. There are a number of significant temples in Danang, although none of them are really notable compared to those of Hue, or even the clan houses of Hoi An. One exception is the Cao Dai temple, the largest outside of the group's headquarters in Tay Ninh. The sign at the very top of the picture above reads "Van Giao Nhat Ly" which supposedly translates to "all religions have the same reason." Behind the golden letters are depictions of Mohamed, Laotse, Jesus, Buddha and Confucius. Its a rather strange place, although the caretaker is quite friendly.